China plans to build 3,200 km of new high-speed railways in 2019, with the total length expected to exceed 30,000 km, the country's top railway operator said Wednesday. The 3,000-plus km of high-speed railways are part of the planned development of 6,800 km of new railways for the new year as the country will keep fixed-asset investment on railway on a large scale, Lu Dongfu, general manager of the China Railway (CR), told a work conference. The country saw an expanding high-speed railway network over the years, with a total length of 29,000 km by the end of 2018, accounting for more than two-thirds of the total high-speed railway in the world. China aims to build 30,000 km of high-speed railways by 2020. China's railways are expected to transport 3.54 billion passengers and 3.37 billion tonnes of goods this year, the general manager said. 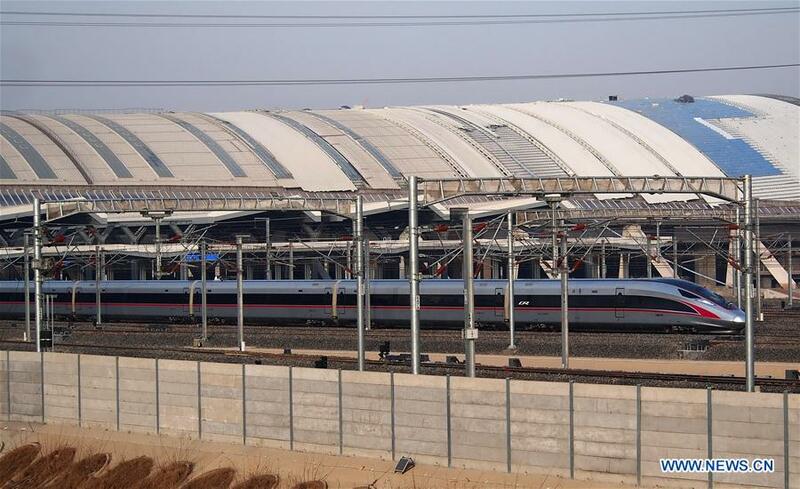 By the end of this year, China will see 850 Fuxing high-speed trains put into service while the research and development of Fuxing high-speed trains running at 350 km, 250 km, 200 km and 160 km will be strengthened, according to the CR. China will continue to expand the coverage of high-speed trains in 2019. Though with a developed high-speed railway network, the length and coverage of railways in central and western regions of China is still inadequate. Lu said the CR would facilitate the investigation and research of Sichuan-Tibet railway and try to start construction by the end of the third-quarter of 2019. China will continue to promote the application of digital tickets and explore more flexible pricing mechanisms for high-speed trains, he said. The fixed-asset investment on railways stood at 802.8 billion yuan (about 117 billion U.S. dollars) with more than 4,600 km of new railways launched in 2018. The total revenue of railway transport saw a record rise of 10.9 percent year-on-year last year, reaching 772 billion yuan.